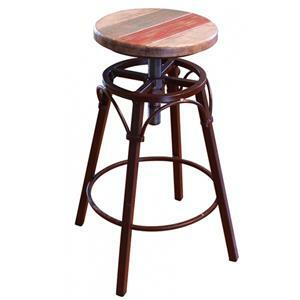 Add function and fashion to your home with this beautiful fixed height barstool. 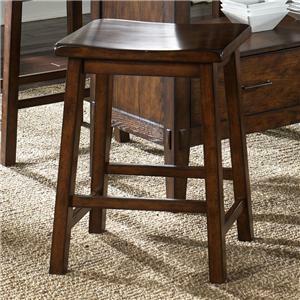 Featuring straight tapered stool legs, and a squared upholstered seat, as well as an upholstered back with a dip contoured top design, this well-designed piece is comfortable and traditional in design. Available in 30 different color options in Matte, Gloss, or Antique finishes, and over 200 upholstery fabric options, this stool can be customized to meet the exact fashion needs of any and all rooms in your home. 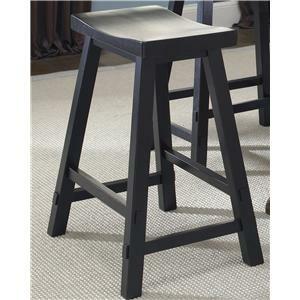 This stool is made available in 24" height options only. 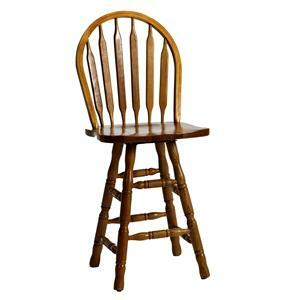 Available in an upholstered seat only. 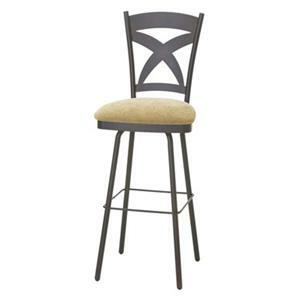 The Custom Dining - High Dining Customizable 24" Upholstered Fixed Stool by Canadel at Dinette Depot in the Brookfield, Danbury, Newington, Hartford, Connecticut area. Product availability may vary. Contact us for the most current availability on this product. Leg or Base Stretcher features a chrome footrest for added durability and protection. 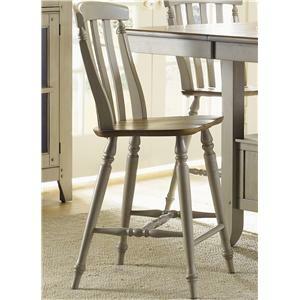 Straight tapered legs with joining supports and foot rest. Customizable Options Nearly every aspect of this furniture line is customizable -- from leg style to finish color -- giving you almost limitless possibilities for designing the perfect casual dining set to meet your needs and personal taste. Nearly every aspect of this furniture line is customizable -- from table top material to table shape to leg style to finish color -- giving you almost limitless possibilities for designing the perfect casual or formal dining set to meet your needs and personal taste. Select the model and number of features, the type and colors—even the patterns on the fabric, if you want. You have an infinite choice of combinations that will bring a note of distinction to your interiors as unique and refined as you are. Every single piece is made of 100% solid Birch. They’re assembled, treated, painted, finished, and packaged by hand, with painstaking care and under scrutinizing quality control. And for your further satisfaction, all manufacturing processes are designed to be environmentally friendly. At Canadel, there are no rules and no limitations. Bring richness and harmony to your life by complementing your home with a dining piece that is all about your style and how you live. 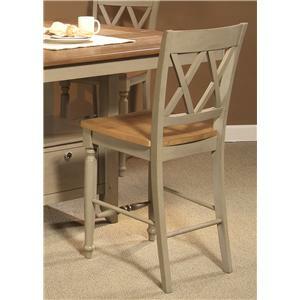 The Custom Dining - High Dining collection is a great option if you are looking for Casual furniture in the Brookfield, Danbury, Newington, Hartford, Connecticut area.